In the past few years Facebook has grown far beyond its somewhat humble roots. There used to be a time when it played second place in the social networking space to that other website no one even cares to visit anymore. Later on, Facebook would become the Internet's hottest startup since Google, though it generated little revenue. But today Facebook is simply a beast. Recognized and used by millions of users worldwide, there's even a movie about it (and a good one at that). The social networking service has become such a growing force in tech that is often compared and seen as a potential competitor to the likes of Apple, Amazon, Google and Microsoft. 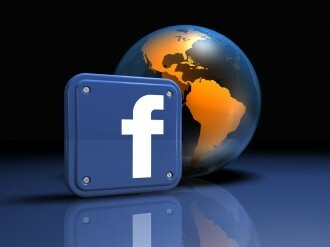 A Facebook IPO has been rumored for over a year and it seems the move is now imminent. On the financial side, Morgan Stanley and Goldman Sachs are the two names currently being associated with the eventual stock offering, which is expected to raise close to $10 billion. This would set Facebook's valuation at $75 to $100 billion. To put things in perspective, when Google went public in 2004 it raised $1.9 billion which had the company valued at $23 billion -- the stock has since seen its price raise five fold. Facebook's IPO is expected to be of such magnitude that financial firms have reportedly been at battle, cutting on fees, as long as they can get part of the action. But even if the public offering is announced this week, that simply means the official process begins and that can last 3 to 4 months. During that timeframe we'll get to learn actual revenue figures and many other details about the business that could have otherwise remain hidden from public view. In other words, expect a Facebook media frenzy at all possible levels as we get closer to what could easily be the year's hottest IPO and one of the biggest offerings in history as well.